Rajamouli said in his recent interview that he doesn't want to endorse wrong calculations about the collections of his films. Baahubali director SS Rajamouli has now become one of the top filmmakers in India after the magnificent success of his magnum opus. His vision and conviction for any film that he works on makes him the most successful director in Telugu cinema. He is one of the few directors in South Indian cinema who does not have a flop in his almost two-decade career. However, Rajamouli does have few things that he doesn’t like to boast of. His 2007 release Magadheera was a humongous hit in the history of Telugu cinema till then and won him huge accolades. The Ram Charan and Kajal Aggarwal starrer film smashed some unbeatable records in Tollywood and made some supreme collections. However, Rajamouli was not happy with one aspect of the film. In a recent interview, Rajamouli revealed that Magadheera was marketed incorrectly that it had completed 100 day, when it actually did not. “Producer Allu Aravind and I had an understanding that we will not inflate the numbers for Magadheera, like other actors’ films were being done in the industry back then. We wanted to put a stop to it and decided that Magadheera will be film that we stop doing that with. But after the film became a hit, the makers started marketing that it completed 100 days in numerous theatres. I didn’t like that and confronted Allu Aravind about this. Aravind said that he didn’t want to do it as well, but there was pressure from the fans. And I could understand his situation. 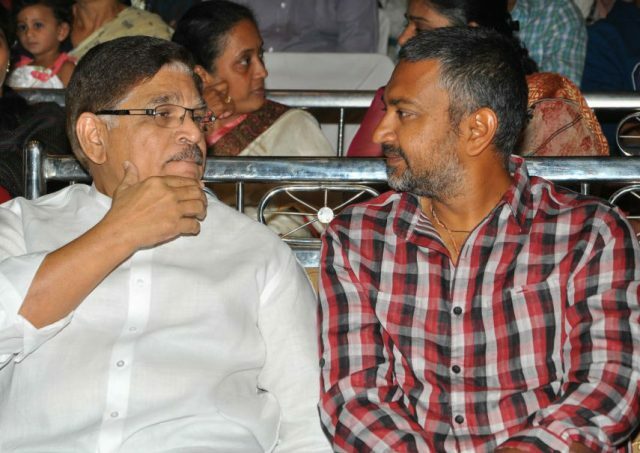 But I didn’t like endorsing wrong calculations and I told Aravind that I will not attend the 100 days function,” said Rajamouli in that interview. Despite scaling such heights in terms of success, living by honest principles is commendable. Both producers and crew have a choice. But this sort of deminuzation is uncalled for. Equal pay for equal talent. Disgusted by the pay discrimination every where not just in the entertainment industry. She asked for the price she deserved and got the role she deserved in a movie she deserved – a negligible and laughable role in a humongous flop called Puli. SS, on the other hand, got the cast he deserved and the thundering success he deserved. Sometimes Life is super-fair! What is unfair in asking for certain fees? It is individual’s choice. Salary negotiations happen everyday by thousands of prospective employees and employers. This is free market and not some kind of bonded labor and slavery. Sridevi has every right to ask for fees that she thinks she deserves. Why demonize her for that? Any producer can reject or accept. Up to them. But this demonization speaks ill of Rajamouli. He hadn’t demonize her. It was the anchor that spoke ill about sridevi. Rajamouli appreciated ramyakrishna and rightfully so she deserves all the accolades. Sridevi couldnt have pulled off that role, shes too subtle. This successful but arrogant director irritates my nerves who shamelessly kept thrashing the living legend of Indian cinema “Sridevi” in public by how lucky he was…blah blah. Whereas Sridevi kept a dignified silence throughout. Isn’t he the same guy, who happily agreed to pay Rs25 crore for an actor Prabhas, but when Sridevi demanded 7crore (which is less than a third), he started crying like a baby. C’mon Sridevi is the Indian’s biggest superstar who contributed 50 years of her life with 300 cinemas to this industry. Least pay a respect to the legend. Sridevi had it coming. She comes across is very arrogant and snobbish. She was successful at her peak but she has to accept her age. Besides he did not insult her but appreciated Ramya and rightfully so. If Sridevi continues on her high horse she will only work on movies produced by her husband. Also Bollywood should learn a thing or two from this man. Despite smashing all records he is so authentic. So honest. Exactly…madam didn’t want to get off her high horse and chose Puli instead….money over everything…and what a fiasco that was! Ramya Krishnan was the best and this madam can’t even come close to her performance. Her arrogance…her loss. Rajamouli is awesome. He has no arrogance. Talking about arrogance, you forgot to mention the so called legend sridevi. She is a good actor, she is subtle but she is not a ramya krishna who can emote so beautifully. And 25 crores to prabhas, he deserves much more. He dedicated 5 years, lot of physical and emotional stress. Why don’t you talk about some stars, that take home more than 50 crores when a movie does less than 100 crores business. Rajamouli did not disrespect her, it was that stupid anchor who cannot respect anyone. Did you even watch the interview? First watch open heart with rk on abn news channel before easily commenting on a person who worked so hard for so many years.